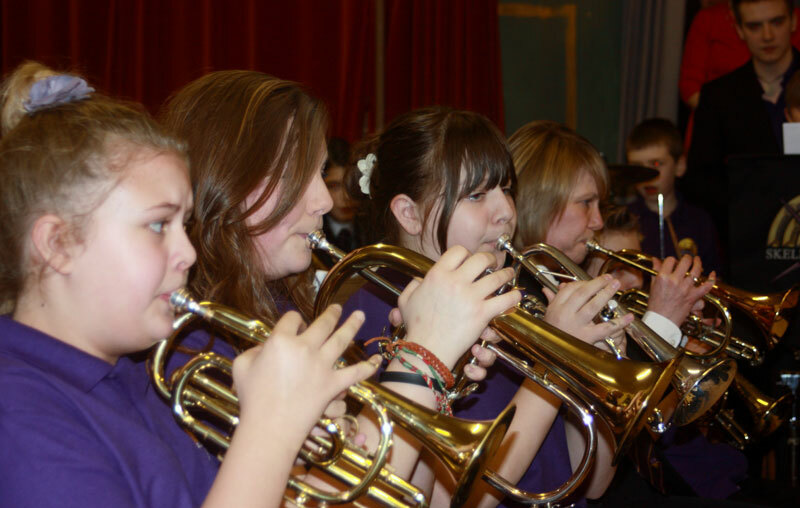 The Skelmanthorpe Training Band was launched in 2010 to encourage beginner and improving players to develop their musical ability and provide the opportunity of playing in a brass band regardless of age, experience or ability. The Training Band is organised by members of the Skelmanthorpe Brass Band Community and its current Musical Director is Robert Jaggar. Robert is a peripatetic music teacher, working for Calderdale and Castle Hill Special School. For many years he was also The Skelmanthorpe Band’s soprano cornet player. 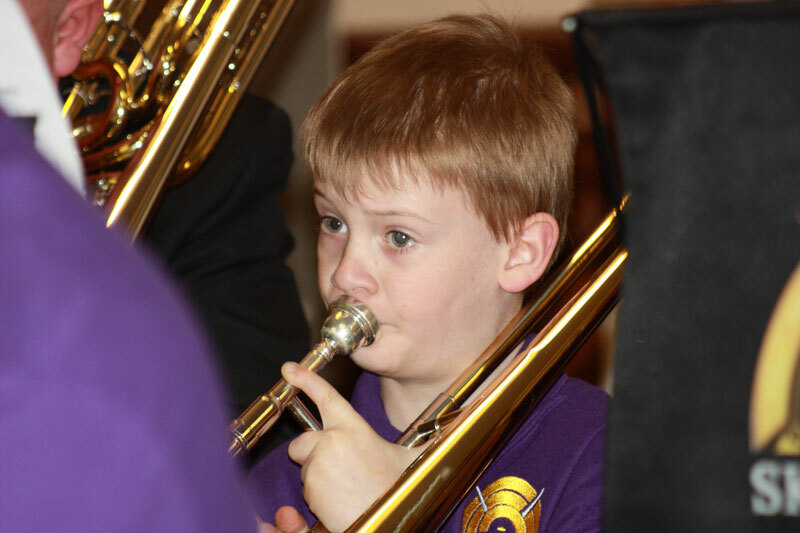 Playing and non-playing members of the Brass Band Community are actively involved in encouraging the training band by sitting in on its weekly rehearsal, helping the players to follow the music and generally helping to resolve their musical problems. 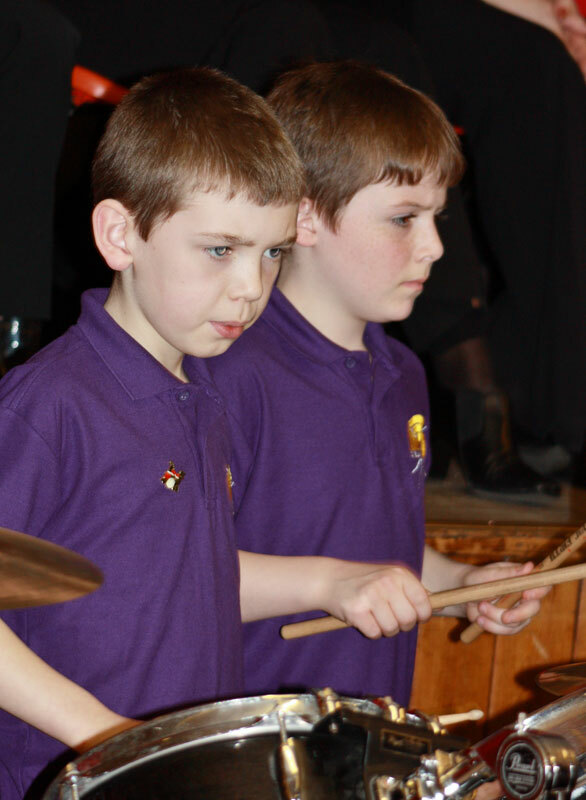 The Training Band has concerts throughout the year, one of which is the annual Three Bands Concert, where it has the opportunity to perform alongside the Skelmanthorpe Band and Skelmanthorpe Prospect Brass. Players within the training band are making good progress and many players have transitioned from the training band into Skelmanthorpe Prospect Brass with several players having been promoted up through the ranks to The Skelmanthorpe Band. Tuition is provided in small groups by current and past players. Instruments are available for loan to those who do not have their own. There is a small weekly fee to cover the costs of tuition, instrument and uniform hire and for the purchase of music.